0.6” x 5.4” x 3.3” – 8 oz. 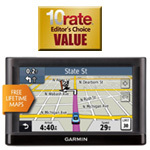 Includes lifetime maps for the U.S.
As you shop for a GPS device to mount in your car, consider the following factors that can have an impact on your device’s effectiveness. There are GPS screens ranging from 2.5 to 7 inches. While the small screens can be difficult to see at a glance while you’re driving and cumbersome to type on, the large screens can block your view of the road when mounted on the windshield. 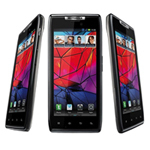 Look for a GPS device with a screen around 4.5 to 5 inches as a good compromise. The 5-inch screens are especially easy to take in at a glance, especially if you’re driving a truck, RV, or other large vehicle. 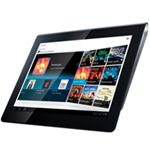 Typing on a touchpad screen can be cumbersome, especially if the screen isn’t very responsive. Some GPS devices include dynamic search options that predict the possible locations based on the letters you’ve typed in. If you see the correct destination, you can save yourself the trouble of typing it all in just by pressing it. As you approach complicated junctions, the lane assistance feature on your GPS navigator will help you figure out exactly which lane you need to be in to make your exit or turn. In a further effort to keep your hands on the wheel, many GPS navigators include Bluetooth connectivity, allowing you to make and receive calls through the loudspeaker without using your hands. You must have a phone that supports Bluetooth for this to work. A GPS device can be attached either to the windshield or the dashboard with a suction cup mount. 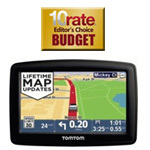 Look for mounts that hold the GPS navigator steady without vibrating. Also be aware that some states like Minnesota and California have restrictions on mounting any device to the windshield. Your GPS device can always be powered by the car adapter, but many also have an internal power supply that lasts a couple hours per charge. With an internal power supply, you can carry the GPS device along with you on bike rides or to navigate subway and bus stops. Often you can charge the GPS device through the USB cord plugged into the computer. An ideal GPS navigator speaks the names of the streets you turn on so you don’t have to keep glancing at the screen for the directions. While this is a very helpful feature, be aware that some models are better at vocalizing text than others. When a GPS device can’t pronounce simple street names, it kind of defeats the purpose. Most high-end GPS devices offer real-time traffic updates, alerting you to accidents and traffic jams and rerouting you to a less congested path. Sometimes this traffic service is limited to major roads. Sometimes the traffic information comes through a subscription, and other times it’s free—but you’ll have to put up with pop-up ad banners. 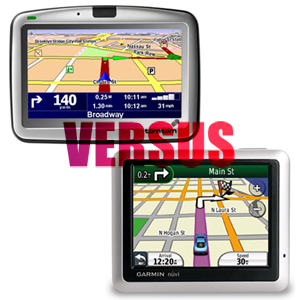 Advanced GPS navigators have advanced routing options, such as avoiding toll roads. Some GPS devices alert you to streets with speed cameras or intersections with red light cameras so you can advance with caution. 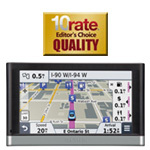 The more versatile and flexible your GPS navigator, the more options you have on the road.